What is a vacuum tube? 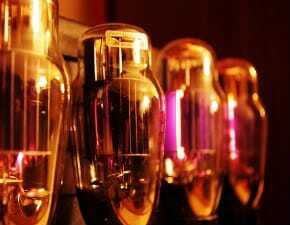 — If the link between a light bulb and a raging Marshall stack doesn’t seem obvious, take a glance at those vacuum tubes glowing inside your amp. And then pay your respects to Thomas Edison, the Wizard of Menlo Park, New Jersey. Edison produced an incandescent light bulb in the late 1870s by feeding an electric current to a filament until it burned bright red. He then sheathed the filament in a glass bulb and extracted the oxygen, thus creating a vacuum to prevent the filament from burning up. Guitar amps are, no matter how you cut it, black boxes. You may think you have control over them, but when it gets down to it, you can’t really see inside the black box, and even if you could, there aren’t any moving parts. Electricity is largely non-mechanical. Or in other words, magic. And when the magic stops, most people think all they can do is resort to prayer. Or an amp technician. 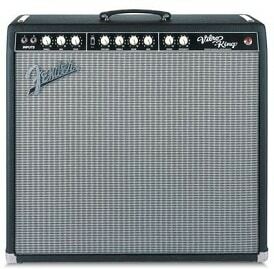 As guitarists, most of us sooner or later find ourselves in pursuit of tone. A talented guitarist can find a way to make anything sound good, but there should be no doubt that our equipment and the tone it provides can inspire and help fuel our creativity. In pursuit of tonal inspiration, we need to develop a vocabulary to help us find what we’re looking for in our sound. 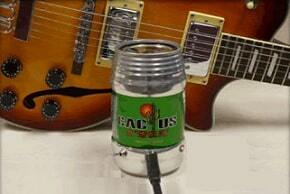 Guitar Technology: Smash or Trash? Potentiometers, or “pots” for short, are used for volume and tone control in electric guitars. They allow us to alter the electrical resistance in a circuit at the turn of a knob. 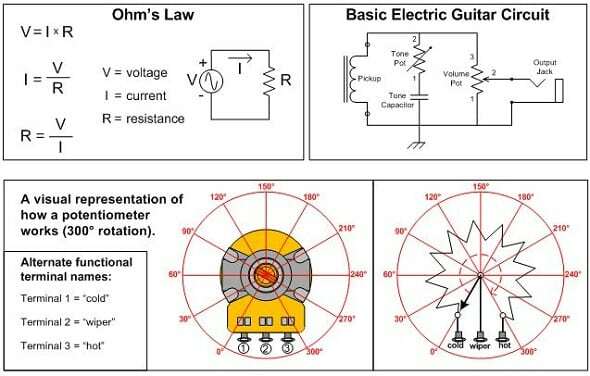 It’s useful to know the fundamental relationship between voltage, current and resistance known as Ohm’s Law when understanding how electric guitar circuits work. 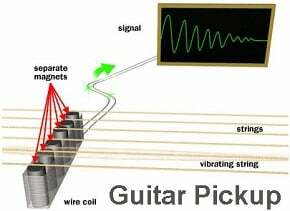 The guitar pickups provide the voltage and current source, while the potentiometers provide the resistance. From Ohm’s Law we can see how increasing resistance decreases the flow of current through a circuit, while decreasing the resistance increases the current flow. If two circuit paths are provided from a common voltage source, more current will flow through the path of least resistance. We can visualize the operation of a potentiometer from the drawing above. Imagine a resistive track connected from terminal 1 to 3 of the pot. Terminal 2 is connected to a wiper that sweeps along the resistive track when the potentiometer shaft is rotated from 0° to 300°. This changes the resistance from terminals 1 to 2 and 2 to 3 simultaneously, while the resistance from terminal 1 to 3 remains the same. As the resistance from terminal 1 to 2 increases, the resistance from terminal 2 to 3 decreases, and vice-versa. Tone pots are connected using only terminals 1 and 2 for use as a variable resistor whose resistance increases with a clockwise shaft rotation. The tone pot works in conjunction with the tone capacitor (“cap”) to serve as an adjustable high frequency drain for the signal produced by the pickups. The tone pot’s resistance is the same for all signal frequencies; however, the capacitor has AC impedance which varies depending on both the signal frequency and the value of capacitance as shown in the equation below. High frequencies see less impedance from the same capacitor than low frequencies. The table below shows impedance calculations for three of the most common tone cap values at a low frequency (100 Hz) and a high frequency (5 kHz). When the tone pot is set to its maximum resistance (e.g. 250k? ), all of the frequencies (low and high) have a relatively high path of resistance to ground. As we reduce the resistance of the tone pot to 0?, the impedance of the capacitor has more of an impact and we gradually lose more high frequencies to ground through the tone circuit. If we use a higher value capacitor, we lose more high frequencies and get a darker, fatter sound than if we use a lower value. Volume pots are connected using all three terminals in a way that provides a variable voltage divider for the signal from the pickups. The voltage produced by the pickups (input voltage) is connected between the volume pot terminals 1 and 3, while the guitar’s output jack (output voltage) is connected between terminals 1 and 2. From the voltage divider equation below we can see that if R1 is 0? and R2 is 250k?, then the output voltage will be equal to the input voltage (full volume). If R1 is 250k? and R2 is 0?, then the output voltage will be zero (no sound). The taper of a potentiometer indicates how the output to input voltage ratio will change with respect to the shaft rotation. The two taper curves below are examples of the two most common guitar pot tapers as they would be seen on a manufacturer’s data sheet. The rotational travel refers to turning the potentiometer shaft clockwise from 0° to 300° as in the previous visual representation drawing. How do you know when to use an audio or linear taper pot? It’s really a matter of personal taste when it comes to volume control. Notice how the rate of change is much more dramatic on the audio taper pot when traveling back from 100% to 50% rotation. This means that the same amount of rotation would give you a more intense volume swell effect with an audio taper than with a linear taper. Using a linear taper volume pot would give you a more gradual change in volume which might feel like you have more fine control with which to ease back the volume level. 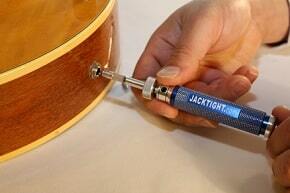 For tone control, it’s basically standard practice to use an audio taper. The effect of the tone circuit is not very noticeable until the resistance gets pretty low and you can get there quicker with an audio taper. How do you know what value of potentiometer to use? The actual value of the pot itself does not affect the input to output voltage ratio, but it does alter the peak frequency of the pickup. If you want a brighter sound from your pickups, use a pot with a larger total resistance. If you want a darker sound, use a smaller total resistance. 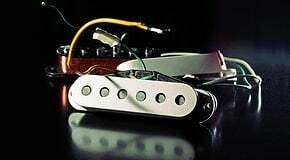 In general, 250K pots are used with single-coil pickups and 500K pots are used with humbucking pickups. Potentiometers are used in all types of electronic products so it’s a good idea to look for potentiometers specifically designed to be used in electric guitars. If you do a lot of volume swells, you’ll want to make sure the rotational torque of the shaft feels good to you and most pots designed specifically for guitar will have taken this into account. When you start looking for guitar specific pots, you’ll also find specialty pots like push-pull pots, no-load pots and blend pots which are all great for getting creative and customizing your guitar once you understand how basic electric guitar circuits work. Kurt Prange (BSEE) is the Sales Engineer for Amplified Parts (www.amplifiedparts.com) in Tempe, Arizona, United States. Kurt began playing guitar at the age of nine in Kalamazoo, Michigan. He is a guitar DIY’er and tube amp designer who enjoys helping other musicians along in the endless pursuit of tone.